13 Witches Runes . This is a set of 13 Black Glass Witches Runes which have been Hand Decorated with Gold coloured Symbols and Fired for durability. These Stones are very Tactile and are a pure joy to use. 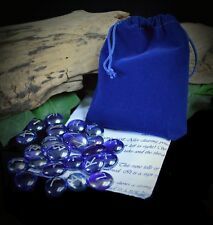 25 Glass Runes . 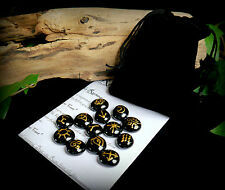 This is the Full Set of 25 Hand Decorated Runes which have been Fired for Durability. These are very Tactile Stones and are a Joy to use. 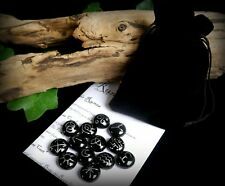 13 Witches Hematite Runes . 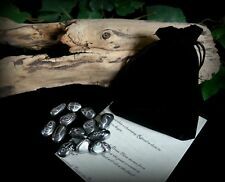 This is a set of 13 Hematite Crystal Witches Runes which have been Hand Decorated with Silver coloured Symbols and Fired for durability. These amazing Stones are very Tactile and are a pure joy to use. 13 Witches Runes . 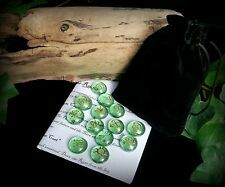 This is a set of 13 Black Glass Witches Runes which have a slight iridescent sheen. They been Hand Decorated with Silver coloured Symbols and Fired for durability. These Stones are very Tactile and are a pure joy to use. 13 Witches Runes . 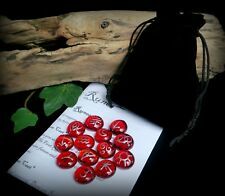 This is a set of 13 Red Glass Witches Runes which have been Hand Decorated with Silver coloured Symbols and Fired for durability. These Stones are very Tactile and are a pure joy to use. 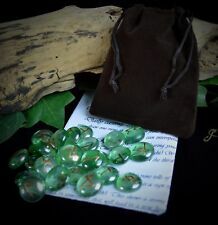 13 Witches River Stone Runes . 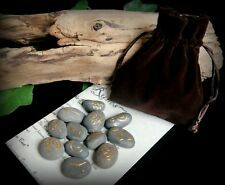 This is a set of 13 River Stone Witches Runes which have been Hand Decorated with Gold coloured Symbols and Fired for durability. These Stones are very Tactile and are a pure joy to use.